Android gaming has reached a whole new incredible level. There are much more enhancements being done in this field. For many of the users, one of the favorite pass time is playing Android games. It helps them to be engaged and use their quality time as well as they are very interesting. Earlier, Android games were not much phenomenal and amazing to play. Many users used to play basic puzzle games and they would send an invite request to their friends through social media to join with them. 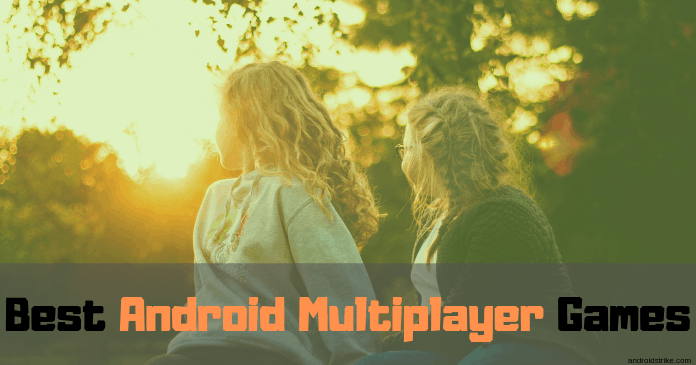 However, today you can spend some quality time with your friends by playing Android games because there are tons of multiplayer Android games available today. If you are looking for an interesting and excellent Android multiplayer game then here is the list of best multiplayer mobile games. Adventure quest is one of the popular 3D games available on android app store. This app also provides a spectacular multiplayer option. You can enjoy an amazing gaming experience in this game as there are several quests available. You can enjoy these tons of quests such as dungeons, classes, and bosses with your friends. It is a perfect option for the user who is searching for a real multiplayer game. Arena of valor is yet another electrifying gameplay which has been recently introduced for mobile versions. It is an adventure game where the player has to battle five wars so that the victory will be announced at the end. This game features such a huge amount of fighters which is 40 and 10 min matches and an interesting team game. There are also three unique modes which make this game even more fun to play with. Another important fact about this game is it is available for free of cost. There are also some worthy in-app purchases available, but you can disable them if you want. Asphalt is one of the exhilarating android multiplayer games available on this list. This is also one of the best racing games available in the world. Millions of Players around the globe download this game on their Android device as it has the smooth multiplayer option. The interface is very attractive as well as neat. The players can enjoy racing with forty different racing cars. The players can customize the car design and color. This is an ideal game available for multiplayer with 1100 challenges and 300 events. Critical ops are serious gameplay. The genre of this game is basically shooting. Multiplayer’s can combat and shoot the enemies to win the game. There are tons of customizations available for the several game characters and fir the weapons. This gameplay is extremely mind-blowing as there are various twists and turns. The multiplayer version is very addictive. If you’ve got a bunch of friends who love adventure and shooting games, then critical ops are the perfect game available for you. If you really have the skill to play well, then you can definitely choose the multiplayer options to enjoy some adventurous time. The Zynga has developed many online multiplayer games. They are games like words with friends, chess with friends; draw something, crosswords with friends and the new game words with friends. You can pair with your friends in each of the games. You can also play the game with a stranger who is part of the game. The games are not very hard and complex to play. You can play with your family because it is a family-friendly game that can offer a gala time during the family get-togethers. These games give you access to log into Facebook so you can find the kindred spirits easily. They are suitable games for children and fun for adults too. It is the most famous MOBA game on the mobile. For the people not very knowledgeable about the MOBA it is actually the goal-oriented games where you team with the other players to finish the game. You will have a full-fledged battlefield for playing, and there will be power-ups for you which you can use. You have to be skilled to use the strategies to win the game. It is fairly common and very popular games are the esports and vainglory. There are many characters in the game where you can unlock the locked characters with your successes. Unkilled is a shooter game where you can aim the gun and shoot the zombies. It is a mission based game with more than 150 missions. It is also growing now because of the demand. This online multiplayer game allows you to fight the people in traditional PvP matchmaking. You can build an army of zombies and attack the other players in the game. It is a game where you can fight from both sides. The graphics and the mechanics in the game can be rated above average. The supercell has created some of the legendary games mostly which are multiplayer. The games include the clash of clans, boom beach, clash royale, and other strategy games. Gamers can create bases and armies to fight with each other. There are many active players in each of the games. The latest of the games made by the supercell is the Brawl stars which is MOBA, and battle royale blended together. These games offer a pretty decent experience for gamers. This is considered the best game in the racing genre. The game is full of fun and filled with plenty of events. There is a storyline available to heighten the factor of excitement. There are many wave runners to buy an upgrade. The multiplayer online option is rated above average. Totally eight of the players can compete directly in the race. There is also a split scene multiplayer mode available in the game. You can also challenge your friends in the multiplayer mode for fun. There are a lot of in-app purchases available which you can make use of otherwise you can enjoy playing the game with the free resources. These are some of the famous multiplayer games available in the play store. If I missed mentioning any of the best multiplayer Android games, then do let me know in the comment section below. Also, Share this article with your friends in social media.